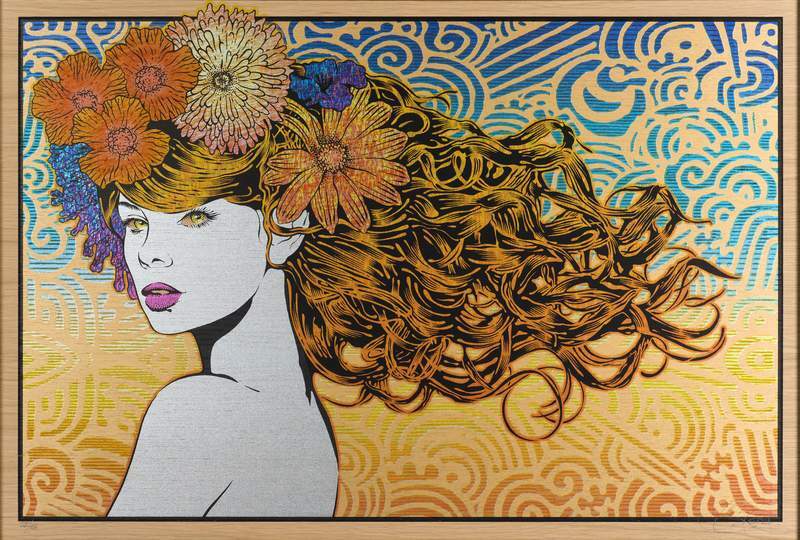 Courtesy Chuck Sperry's “Naiad” is screen printedon an oak panel. Fort Wayne Museum of Art has two exhibits exploring the influence of the psychedelic era of the 1960s on art, music and journalism. “Litmus Test: Works on Paper from the Psychedelic Era” opened last weekend and “All Access: Exploring Humanism in the Art of Chuck Sperry” opens Saturday. The Sperry exhibit is the first to feature the artist in a one-person show. Sperry and “Litmus Test” curators Carlo McCormick and Josef Zimmerman will be on hand tonight at a party from 6 to 9 p.m. celebrating both shows. Tickets are $8 for museum members and $12 for nonmembers; go to fwmoa.org/rsvp.